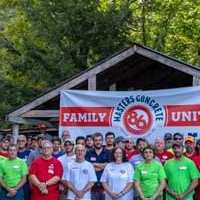 The day started off ordinary as usual. 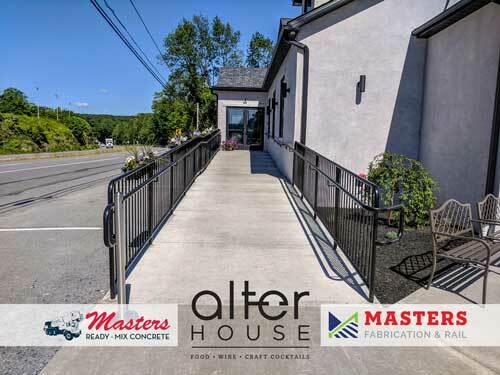 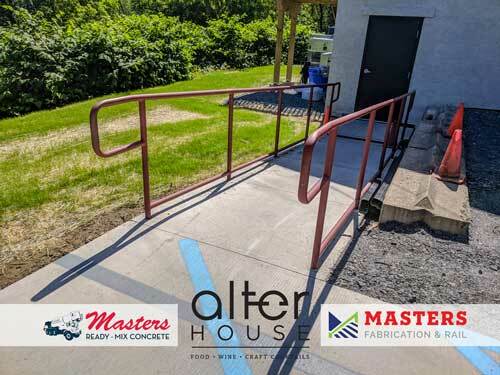 We were delivering ready mixed concrete for a regular customer who was building a ramp to access the new Alter House restaurant. 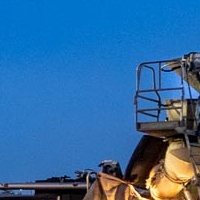 Our ready mix driver noticing that there would be a need for a rail contacted a member of our sales team, Lanny Kipp. 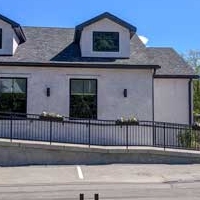 Lanny reached out to the general contractor (Grimm Construction). 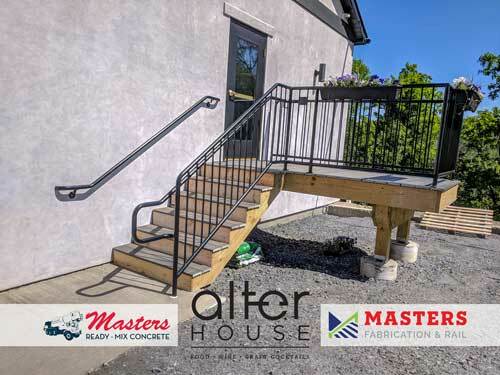 Our team of dove right in, measurements, estimates and as soon as we were awarded the job MCP’s expert fabricators manufactured the rail in house staying ahead of schedule. 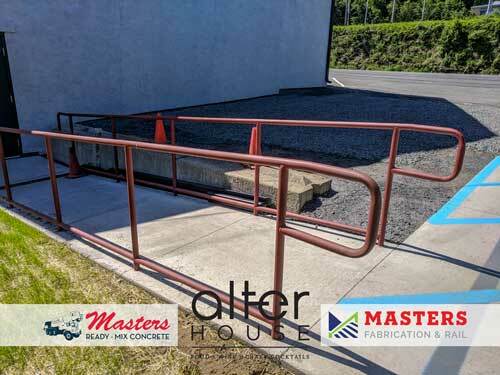 The deft hands of our install crew placed the rail on site which included an additional rail for side steps and a rear entrance. 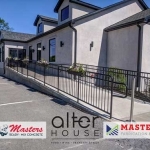 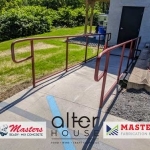 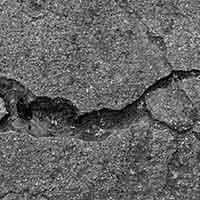 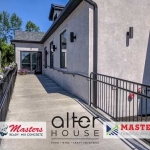 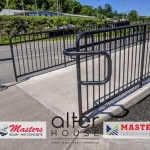 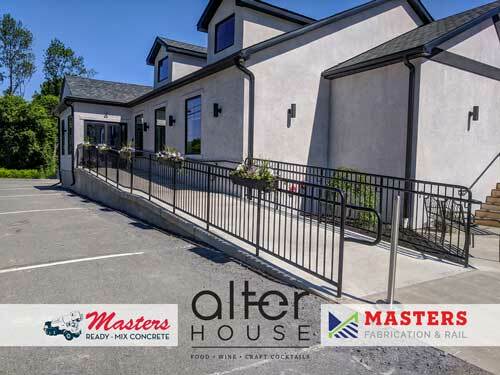 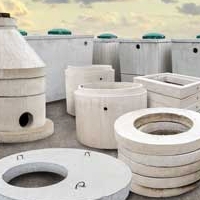 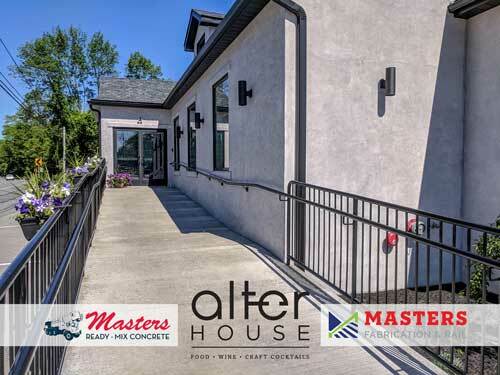 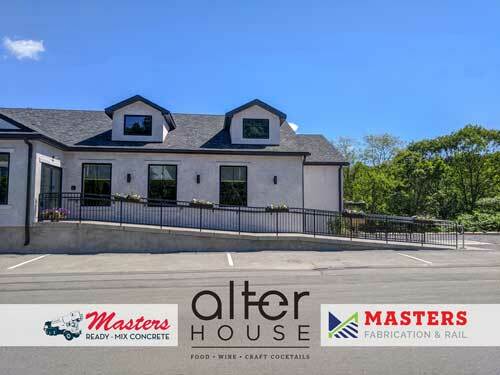 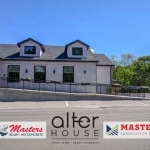 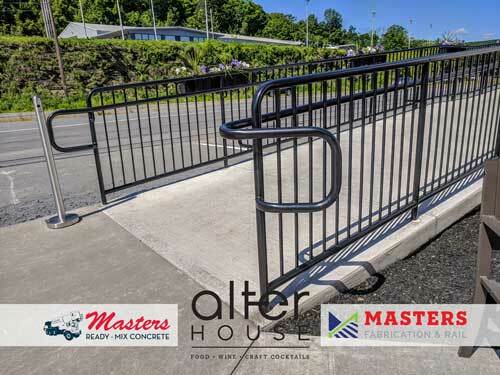 This project shows how Masters is a simply Your Source for so many products on a given job site and how through our various team and divisions we work together to provide these materials and services. 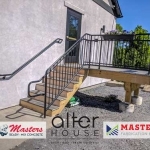 Keeping you on schedule and your project on budget.